It’s all the little details that separate a good cleaning company from a great maid and cleaning service like Maid Brigade’s Hillsboro house cleaning service. And it’s those small extras –cleaning every surface, for instance – that create value in the minds and homes of our valued customers. 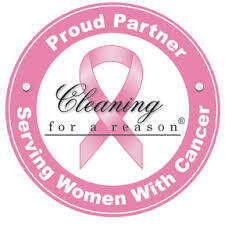 The fact that our Hillsboro house cleaning customers keep coming back to Maid Brigade, year after year, for all their household cleaning needs says our professional maids are on time, on their trusted pros lists, and on top of household dirt, wherever it may hide in their homes. That kind of customer loyalty gets noticed at Maid Brigade. In fact, Maid Brigade has consistently won awards for exceptional housecleaning services. Our cleaning teams service West Portland residents in Tigard, Beaverton, Tualatin, Sherwood, Lake Oswego, Wilsonville, West Linn, Oregon City, and Newberg. Our maids must meet the highest cleaning standards and have been Green Clean Certified®. Maid Brigade of Hillsboro works to satisfy you and your family by always doing their best. Details matter. And our Hillsboro maid service knows it. To schedule your own detailed domestic cleaning services, request a maid cleaning services brochure, and more, please see the links on this page or call our Hillsboro maid service office today at 503-624-3935.